According to the Kellogg’s Rice Krispies Holiday Survey, 60 percent of moms begin planning/preparing for the holidays at least two months in advance. At two hours a day, that’s more than 60 hours of prepping, stressing and organizing. 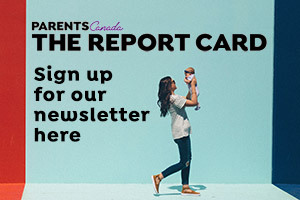 ParentsCanada has teamed up with Trish Magwood, award-winning author of In My Mother’s Kitchen, to bring you her top five holiday time-saving tips. When it comes to décor, keep it simple and seasonal. A glass bowl of mandarins, a vase of pomegranates or a trifle bowl brimming with pinecones can have your home looking festive in minutes. A grocery store plan of attack is key. Keep a running grocery list through the season and create columns based on your store’s layout, grouping products based on their location. This will speed up your shopping and saves backtracking. Have great recipe resources handy that can also get the kids involved. Cooking and baking is near the top of the holiday to-do list for many moms but is a tradition that can prove time consuming. Get the kids involved and make the task that much more enjoyable by spending time together in the kitchen. Make a budget and stick to it! Establish a budget in advance for gifts and holiday shopping to avoid unnecessary stress over finances. Leave the plastic at home and only bring cash to the mall to avoid over spending. Another great tip: Put the cash for each individual’s gift into separate envelopes, then replace with receipts so it’s easier to track. Double up on your favourite baking recipes as gifts for guests. A rewarding, cost-efficient and organized way to say thanks to teachers, neighbours and the like, pick a few easy make-ahead sweets and bake up a storm. Holiday Fashion : Frugal or Frivolous?